Date : 2013. 01. 24. 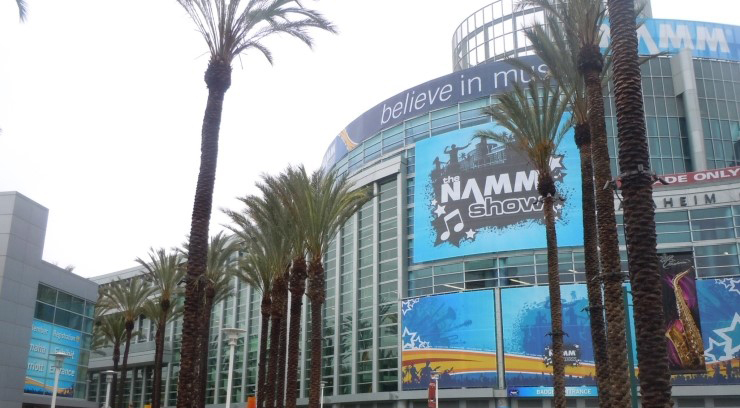 ~ 2013. 01. 27. 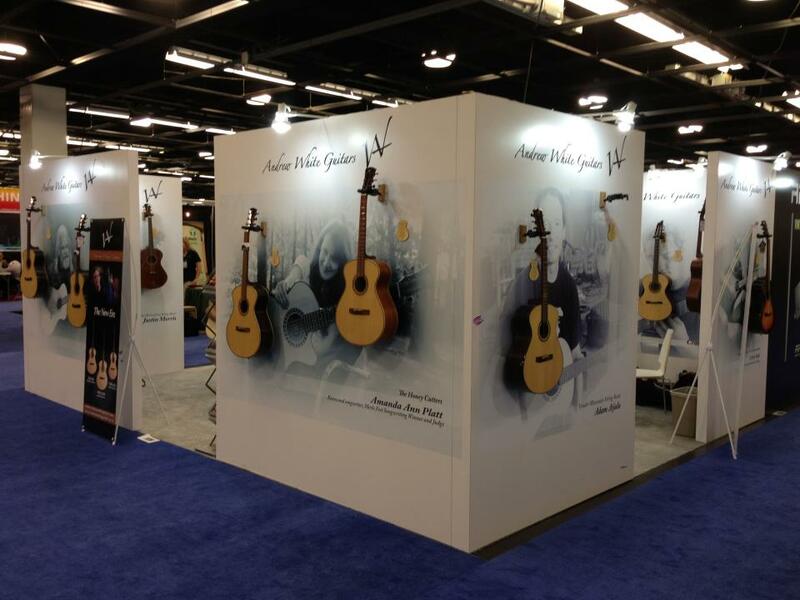 The NAMM Show was held in Anaheim Convention Center from 24th till 27th of Jan.
During the NAMM Show, there were many visitors to Andrew White Guitar due to the unique designs in compare to other guitars. 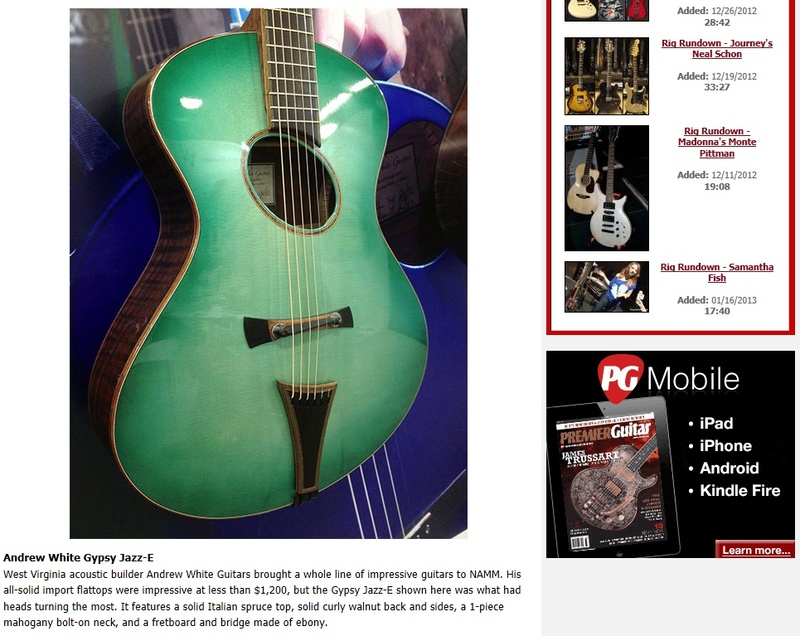 They have introduced our guitar for people. 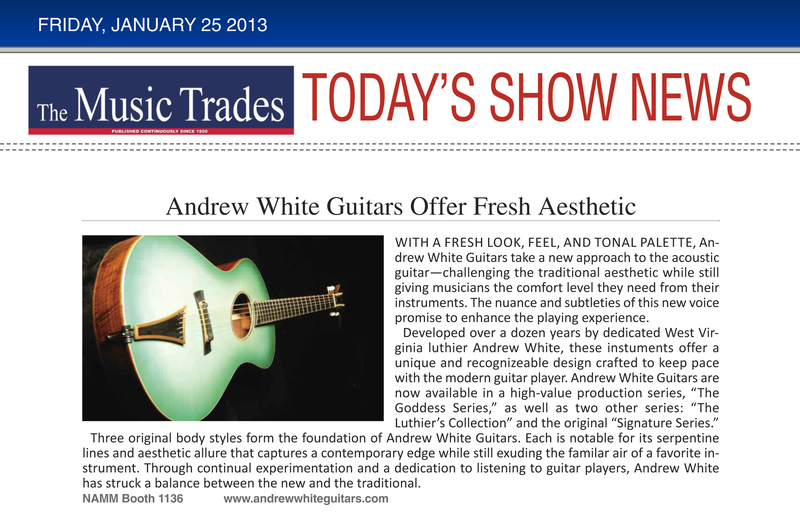 Plus, The Music Trade Magazine, also mention about Andrew white Guitars.